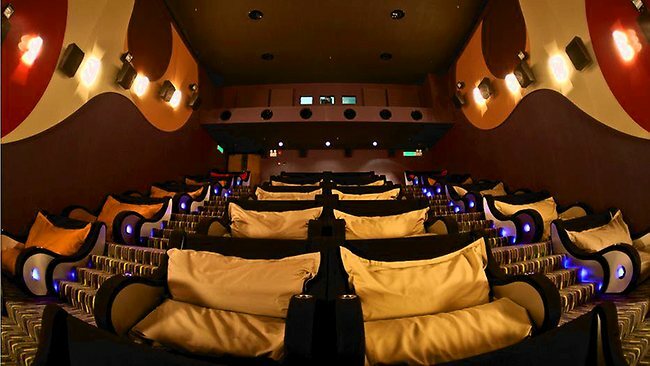 Malaysian beanbag cinemas - maybe the most comfy cinema in the world. Beanbag seats are designed to sit two people and tickets are a lot cheaper. FORGET the movie seats we've all been used to. The "Beanieplex" is a welcomed change to cinema seating. TGV Cinema in Malaysia launched the cinema last year. It's futuristic as well as comfortable-looking with large seats and adjustable beanbags. Reviews are mainly very positive with comments such as "it feels like you're sleeping on a bed". The only downside is that beanbag chairs are much harder to keep clean. Tickets must be purchased as two people as there are two to a seat. If only one person is attending the movie they will need to pay double to sit alone. There are three Beaniplex cinemas in Malaysia: at Sunway Pyramid, 1st Avenue Mall in Penang, and Aeon Tebrau City Shopping Centre. Other countries have also introduced bean bag theatres. Singapore's WE Cinemas has a Beanbag Lounge at its Suntec City location, and there's a pop-up, movable Bean Bag Cinema in the UK. In Australia Hoyts has a Bean Bag cinemas in Melbourne, Perth and Mt Druitt (Sydney), however its not quite as good as the Beaniplex in Malaysia. Another "different" style of theatre that is worth checking out is the Archipelago in Thailand It is a theatre that floats on water.